Russia in the Middle East, a Resurgent Empire? di Robert Ballante 25 Ottobre 2017 8 min. Since the Russian intervention in Syria in late 2015 the balance of power in the Middle East has changed. What was once considered an undisputedly US dominated region of the world, is now contested. As a result, in recent months we witnessed a true pilgrimage of Middle Eastern leaders to Moscow. From Erdogan to Netanyahu, from el-Sisi to Rouhani. This culminated at the beginning of October, with the visit of King Salman, the historical first visit of a sitting Saudi monarch to the Kremlin. Critically, the Middle East is one of the most important regions of the world, not only for the so often mentioned “Energy Security” reasons but also for its strategic location as a bridge between Europe and Asia. Furthermore, it is geographically located at Russia’s doorstep, offering a convenient theatre for a display of Russian power. During Putin’s second term the Russian Federation started expressing growing interest towards the Middle East. The Russian President, in fact, visited the region twice every year, and started cultivating a beneficial relation with Israel. To this day this proved a fruitful move, as in times of US sanctions, the Jewish state is one of the few sources to western technology for Russia. Furthermore, Russia has expressed interest in the negotiation on the Iranian Nuclear Deal since the very beginning, where it ended up playing a pivotal role. 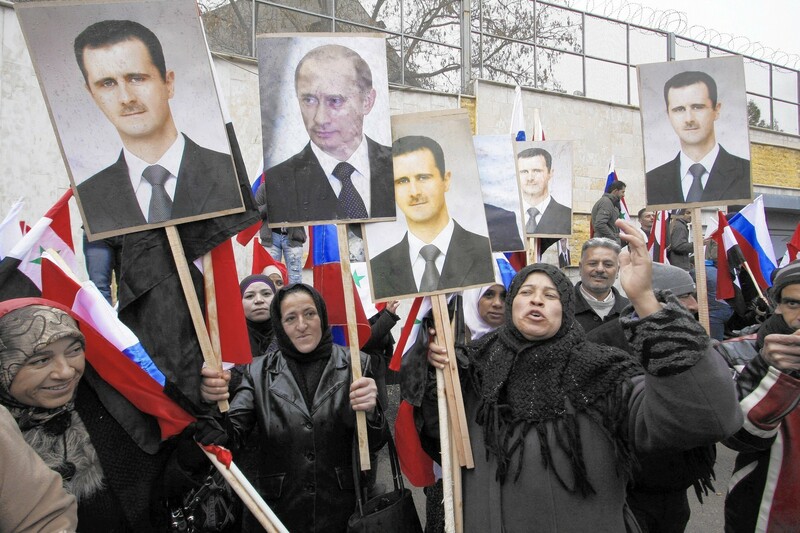 Eventually, Russia’s approach to the region reached a turning point during the Arab uprisings in 2011. (Is it still safe to keep calling what happened Arab Spring given that very little was yielded in the face of expectations of democratization and promotion of Human Rights?). When turmoil started erupting in Tunisia at the end of 2010, the Eurasian Great Power was largely indifferent, since no strategic interests were at stake. However, as instability spread across the Maghreb to Libya, Egypt and crucially Syria, Russia felt the need to intervene to preserve its national interests. Class of 1994. Double degree student of International Relations at the London School of Economics and visiting scholar at the Chinese Academy of Sciences. Robert was born in Saint Petersburg, Russia but at the age of 6 moved to Italy. He spent a year in Australia and currently resides in Beijing as part of his degree at LSE. Robert’s main interests are International Politics, focusing on the post-Soviet area, and Business Development, with a special interest for Startups. Robert is the co-founder of L-Move, an Open Innovation startup that bridges the gap between a business idea and its implementation. Likewise, L-Move provides a platform for the outsourcing of Research and Development problems for corporations.